This isn't nationwide. But next month, Hokkaido Prefecture is rolling out "No Video Game Day." There won't be just one of these days, but two—and two every month. NHK reports that among students nationwide, test scores are down in Hokkaido. 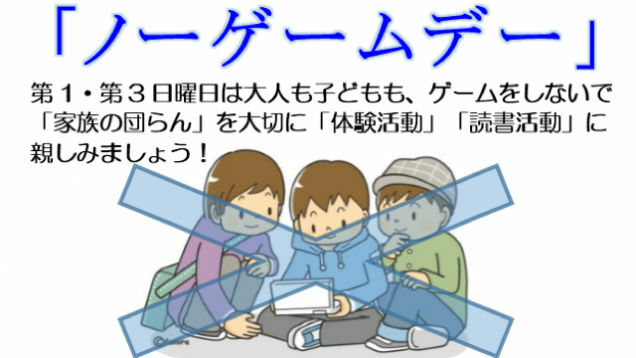 It sounds like the PTA and the Hokkaido Board of Education are pinning the blame on video games. Which would incorrectly make the assumption that children in other parts of Japan are not playing lots of video games? The Hokkaido Board of Education, along with the PTA, is spearheading "No Game Day," which starts on the first and third Sunday this February. Children are encouraged to hang out with their family and friends—by not playing video games, that is.